Left: The main building of the old Falcon Foundry, rebuilt on Falcon Square. 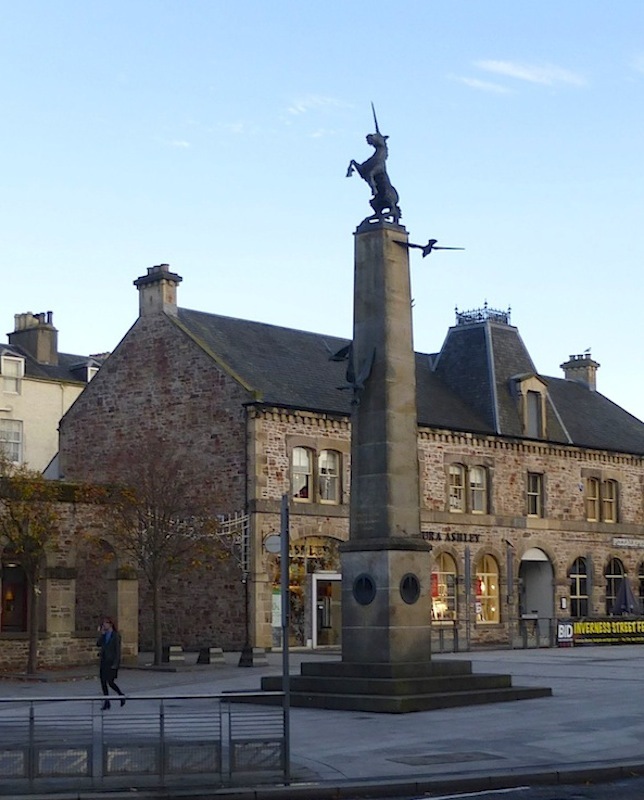 Right: The former foundry building with the new Mercat (or Market) Cross in the foreground. The Falcon Foundry was one of several operating in Inverness when the iron-founding industry was part of the industrial scene here in the nineteenth century. It predated the Rose Street Foundry, having been established in 1858 by John Falconer. 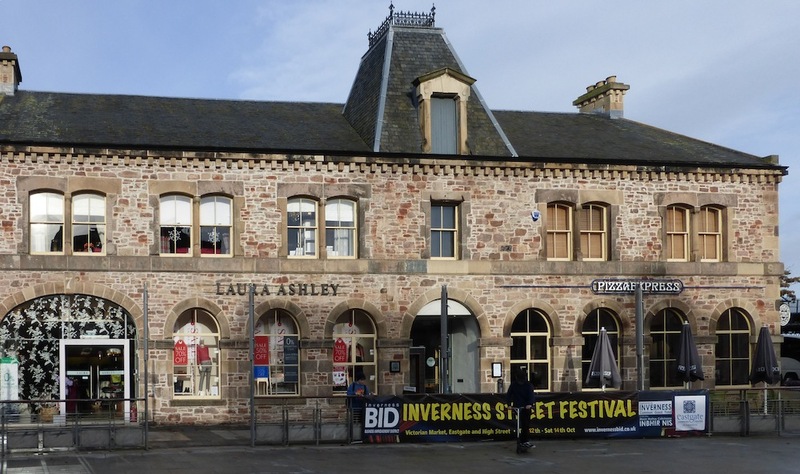 It was originally beside Inverness Railway Station, but the main part was dismantled and rebuilt here during the redevelopments of the later 1990s. The building now houses a shop and a restaurant. 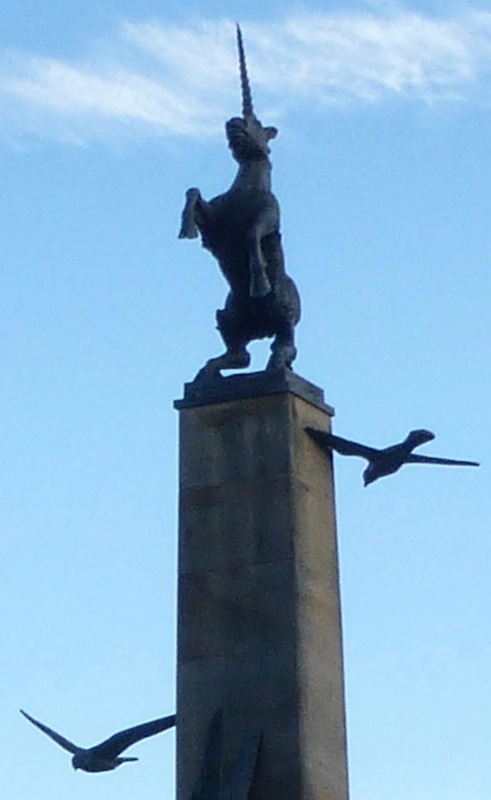 The (new) Mercat Cross in Falcon Square, by Gerald. 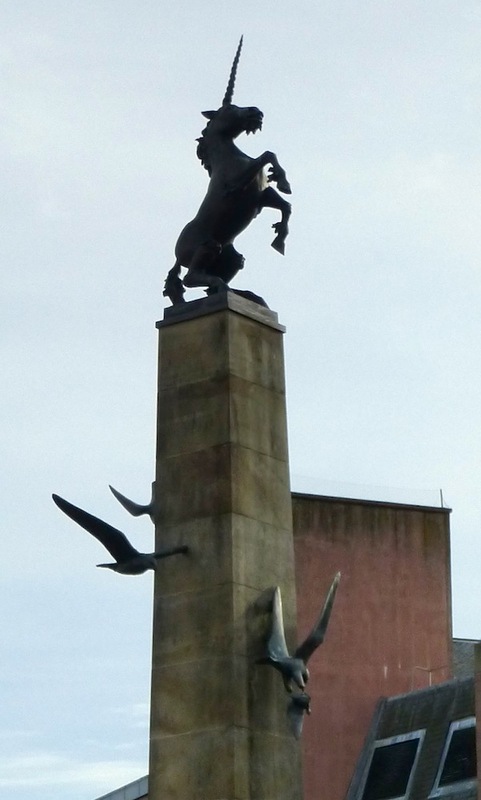 This thirty-seven foot high sandstone pillar in the middle of the new square is topped by a bronze unicorn, and circled by a swooping falcon in various stages of its flight. It is seen catching its prey at its lowest point (see last image, below). 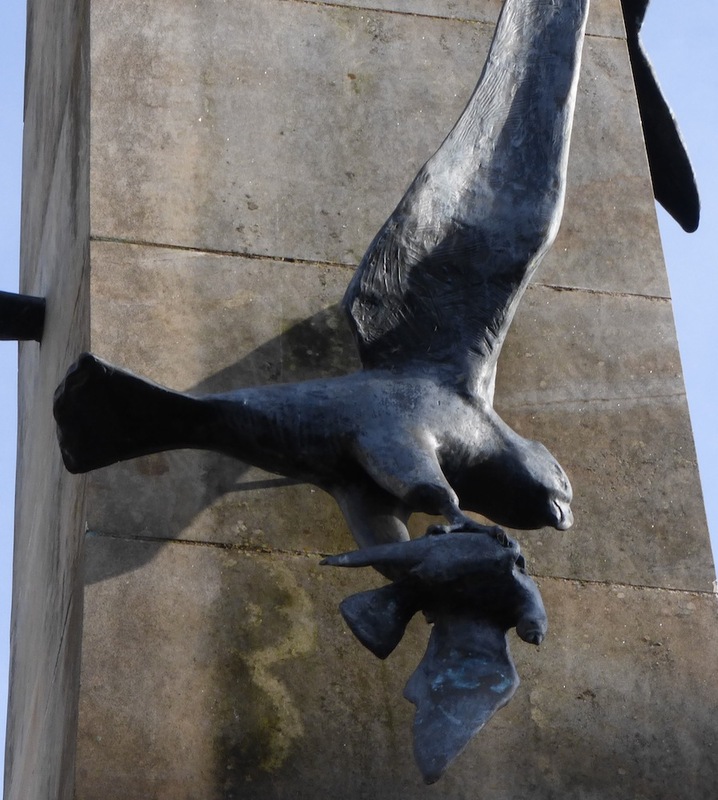 The monument was designed by the artist and sculptor Gerald Laing (1936-2011), who had once set up a foundry himself. One of his sons had later set up the Black Isle Bronze Foundry in Nairn. It is an imaginative and impressive tribute — to Falconer himself, to the city's industrial past, and to the expertise of iron-founders. 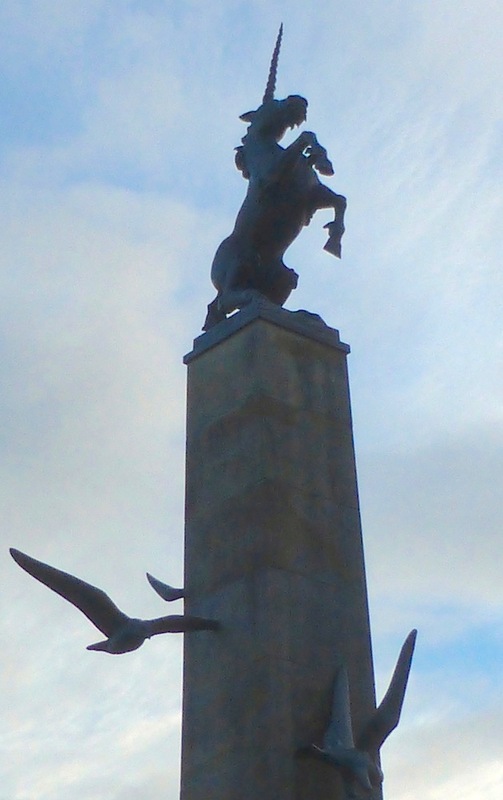 Unveiled in 2003, it is much bigger and more noticeable than the old Mercat Cross, with its more staid heraldic unicorn carved by Andrew Davidson. "Eastgate Extension and Falcon Square." Am Baile. Web. 7 January 2018. "Inverness Historic Trail." Explore Inverness. Web. 7 January 2018. McNay, Michael. "Gerald Laing Obituary." The Guardian>. 25 November 2011. Web. 7 January 2018.